Okay, so we live in a time where the reported unemployment figure is above 9%, and the real figure is much higher, the government spends a whole lot more than it makes, and legislators cannot agree on a solution, and it costs more to feed your car than yourself. But...we really have a lot to be thankful for. The recent market has not been kind to the weak-at-heart. Some are afraid to check to see what the market is doing. Here are some survival tips to help you through markets as these. Can the government really require you to get individual health insurance? Congress says so, and for those of you approaching your 26th birthday this will affect you and your expenses. The Health Care Reform Act enacted in 2010 requires health insurers to allow adult children to remain on their parents' plan until age 26. It's estimated that due to that stipulation, over two million young adults have been added to insurers' plans since the law was enacted. 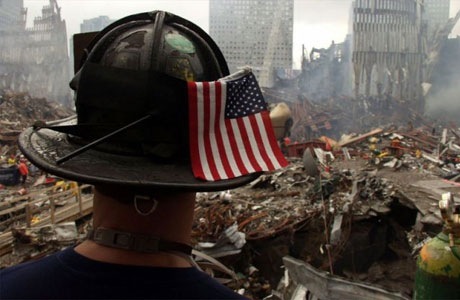 Today is a day to stop and take pause remembering September 11th. Ten years ago our country was attacked and nearly 3,000 victims were killed that day. Like other moments in our lives, we all remember exactly where we were and what we were doing when we received the news. So many folks are rethinking the value of a college education. As a matter of fact, we've recently had a post on the pros and cons of a college degree. I've always felt, no matter where the education comes from, it's something that can never be taken away from you. Although the Dow Jones Industrial average posted a 125-point gain on Friday, it was down a bit for the week. The massive drops on Monday and Wednesday of 635 and 520 points respectively, indicate that the market feels exactly what businesses and consumers are already thinking: we could be headed for another recession. The latest numbers from the government indicate the median length of unemployment is 5 1/2 months. Going without a paycheck for this amount of time can do considerable damage to your financial well-being. If you had an emergency fund, it is depleted, if not completely gone; otherwise, the only way to cover your shortfall is to either increase your credit card balances substantially, or cash in your investments, or both. But just what does it mean to be more excited about what you spend at least 8 hours a day doing! If you're not, it may not be your fault. Just as a lack of financial education, which isn't your fault, can lead to poor spending habits, a lack of concern on the part of your employer to get you engaged at work is also not your fault. This can lead to poor morale and poor performance. Like the government, most people make enough money; and like the government, most people need to cut their spending. However, after trimming the obvious things, such as the stuff you don't really need or seldom use, you reach a point when you get wary and you don't know what else you can cut. Ever wonder what happens after you send your resume? I'm not talking about the time in the postal system or how it travels through the electronic labyrinth of the internet, but what happens after it gets to the company you sent it to? The National Debt: How Did It Soar? Many ask the difference between the deficit and the national debt. The deficit is the yearly amount the government spends greater than it's revenues. (If the government spends less, then there is a urplus.) The national debt, on the other hand, is the accumulation of all the deficits. As they say, "It's better to give than to receive." Many of you out there have a huge heart, but you're living paycheck to paycheck. It's hard to come up with the money to give.